So far you have likely read my overview of what you need to do to fix your lawn and I have been given you a deep dive on each part along the way. 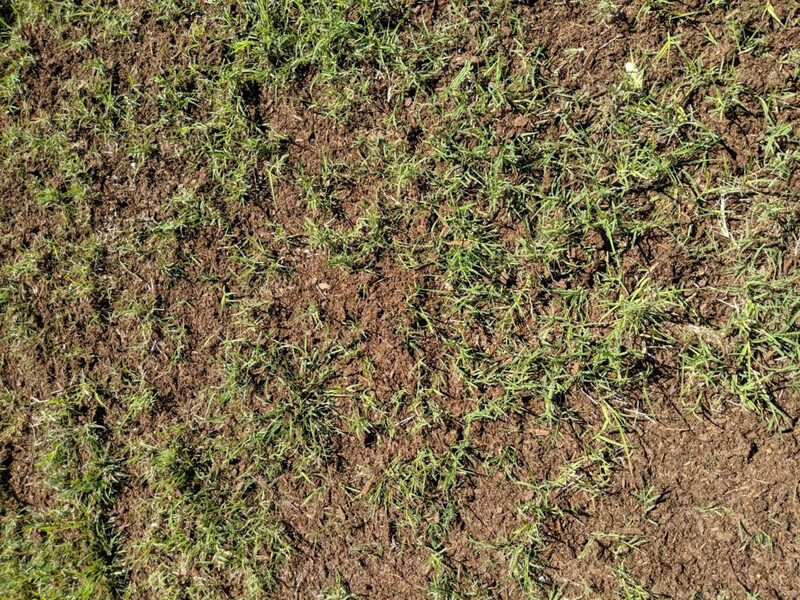 After my last post I said we would talk about other things you might add to top dress or improve the soil in your lawn and if you should place grass seed or not. 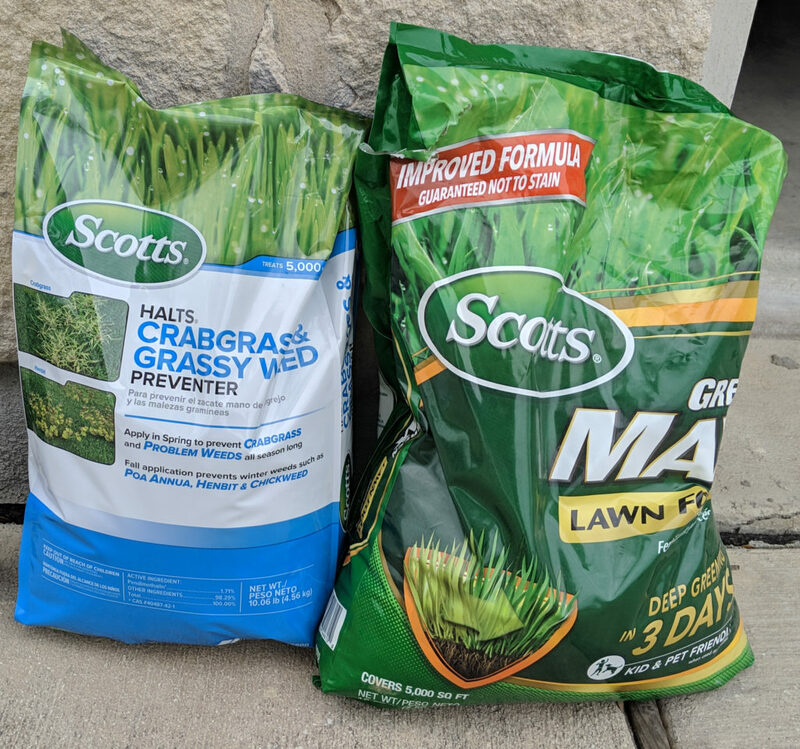 There are many great products you might add to your lawn but I will leave the advanced stuff for later and keep to the simple stuff people are asking the most about. The first is that people are asking what they should add to fix the bare spots in their lawn after killing off the weeds. It seems many first responses are to add grass seed and hope that fills in the bare spots. This is normally an unnecessary step if you have at least some Bermuda left. The Bermuda as things called stolons. I always called these runners before but they are great for filling your lawn back in. You see they will creep out and start new grass. So instead of adding grass seed the best thing to do is spread some garden soil at about a half inch in depth and water the area regularly the next few weeks. I have attached a few pictures. In one you see my neighbors bare lawn after being treated for weeds. The second picture is the lawn with soil placed on it. This will help promote growth and his Bermuda will start filling it in. You might also notice the grass blades are a bit thicker. That’s because he has common Bermuda after a previous owner seeded his lawn. Most of our lawns had a hybrid Bermuda sod placed on our lawns. The hybrid has a thinner blade and doesn’t normally produce seeds. 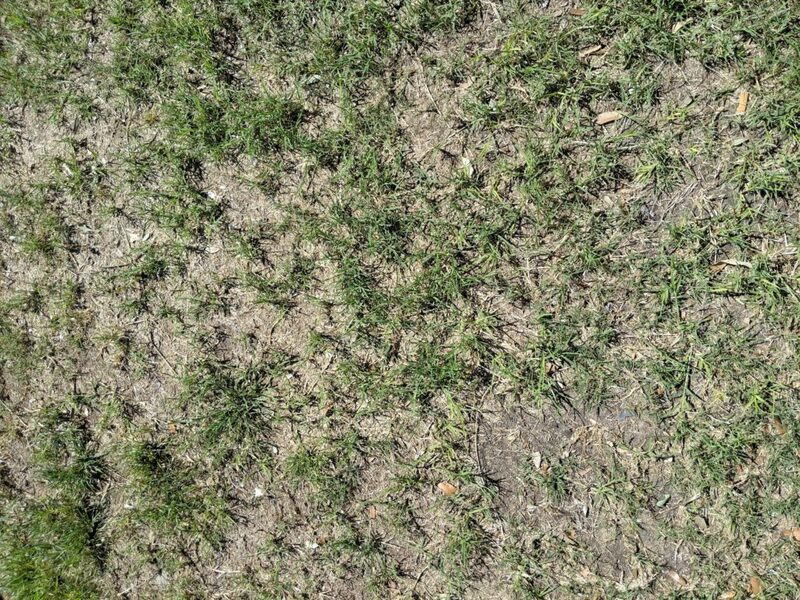 Most Bermuda grass seeds are going to be for common Bermuda. If you use grass seed this will cause the lawn to looked mismatched as both are growing. So that is one reason I encourage promoting growth through stolons as opposed to reseeding. 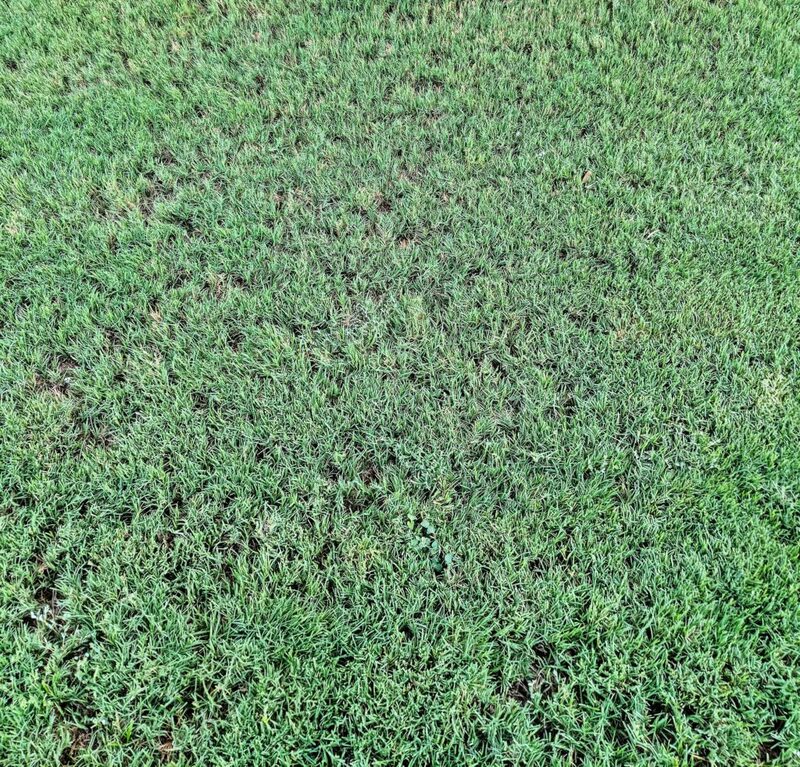 If your whole lawn is bare and no Bermuda is left, then that is when you would use seed, because having a common Bermuda lawn is better than just bare dirt. In that case make sure to NOT use the pre-emergent I recommend at other times. It stops both new weeds and new grass seeds from growing.